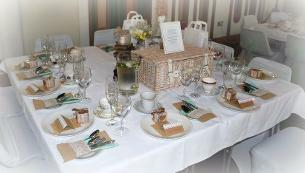 Picnic receptions are a great alternative to a formal sit down meal for your wedding breakfast. 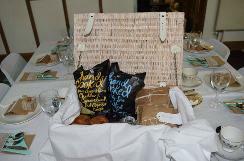 Hampers can be enjoyed out side at picnic rugs and tables or inside for when the Great British weather is not so sunny. 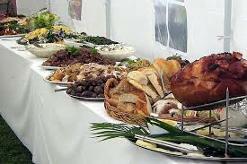 Picnic receptions are a great alternative to a formal sit down meal for your wedding breakfast. weather is not so sunny. to as much as they like. Children under 8 are half price or why not go for an individual lunch box for them. cheese boards with crackers grapes and celery, crudites with dips, cous cous, pesto pasta. Dessert selection of strawberries and cream, apple pie or cheesecake. Alternatives available. Want to have picnic food and then a selection of afternoon teas on china stands for dessert ? and more you can have the best of both worlds. Cheese string, Scotch egg, mini sausages, fruit portion and juice.